Hi Prateek. Congratulations on converting IIM Lucknow. Let’s start by talking about your past academic profile..
Graduation – 8.9 CGPA in Mechanical Engg. from NIT, Bhopal – 4th topper of my batch. 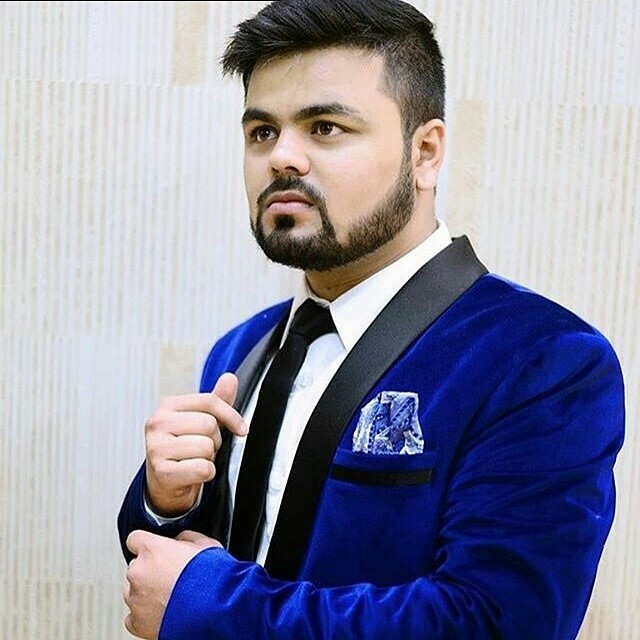 I have also been involved in a lot of extracurricular, in school as well as in college, which helped me get a profile based call from SPJain, Mumbai. What has your work experience and job profile been like? After college I started working with Larsen and Turbo and currently I hold a work experience of 11 months. The work hours at L&T are rigorous, that is almost 12-13 hours everyday, which that didn’t allow me a lot of time to prepare for CAT, but I think I was really dedicated and determined to crack it and that made me put in extra hours towards the preparation on a regular basis irrespective of my exhausting working hours! So how did you decide to pursue MBA? Coming from a small town of Jamshedpur, and being a good student in school it was assumed that I should be taking up science in my Secondary education. So in small towns people think in a very linear manner, wherein engineering is considered as the best career option available to anyone, for which you must take up science in 11th and 12th, and if you end up taking commerce or arts then you are not good at academics. So charged up with that emotion I ended up taking engineering and got an admit in NIT, Bhopal. But just into my second year I realized that my interests lie elsewhere. Being a part of the college societies and having had corporate interactions through sponsorship callings, I finally began to enjoy the management work, which gave me a glimpse of the field of management and that was precisely when I decided to pursue management as a course of my study. So now when you recall, how do you see your entire journey of preparing for MBA? Thrilling! My journey has been literally thrilling. I have seen a lot of ups and downs and thoughout my preparation I hated quant because I wasn’t scoring well and verbal was a complete nightmare initially. Do you have any past attempts and what are your percentiles (sectionals as well as overall) this year? Yes, I gave CAT or the first time in 2015, wherein I scored somewhere around 95.7. I did get a few calls from the new IIMs and was waitlisted at SPJain, so I couldn’t join last year. This year I studied a lot. Even after working everyday I would make it a point to put in atleast 2-3 hours of preparation on weekdays and 8-9 hours on a weekend. I kept myself updated through the Facebook groups and other online platforms and that also helped me a lot. Finally I managed to get a 98.35 overall percentile, which was a major relief. In VA and DILR I managed to get around 99 and 96, respectively, but in quant I got just 92, which was the lowest I got even if I consider the mocks. With that percentile I suppose you must have received a lot of profile based calls? Yes. Having a good profile really saved me this year. I got calls from IIM L, K, S, I and the new IIMs and I think that’s primarily due to the good profile. Other than IIMs I got calls from XLRI, MDI, SPJain (Operations), IIT Bombay and NITIE Mumbai. And which all colleges have you converted till now? Apart from XLRI, I have converted all the colleges that I appeared for like IIM L, K, S, I, MDI, SPJain. For the rests, I am awaiting the results. So having talked about all the calls and converts, is there anything special about any interview that you would like to share with us? Yea definitely! So first would be L. A very special thing that I felt about the interview experience at IIM L was that it wasn’t at all like an interview, it was just like a normal discussion. But at IIM I, it was pretty much like a stress interview. From the very beginning of the interview, like from the moment I entered the room the panelists were trying to pull me down and intimidate me. I’ll give a small example. So when I entered the room I went and wished the panelists, but for about 15-20 seconds I wasn’t asked to sit down, so I was kept standing. Eventually the other panelist, who wasn’t asking questions at that time asked me to sit. So a couple of incidents like this happened where they tried to confuse me and put me under pressure. Would you like to share with us as to how iQuanta helped you in your preparation? 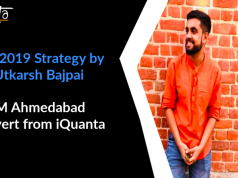 Basically I had done 1 year classroom programme in Bhopal, during my college years so I didn’t really feel the need to join a full course as such, but towards the end I felt that I can probably take up a crash course and what better place than iQuanta. So I joined the crash course provided by iQuanta which helped me with a quick revision of everything and it helped me to a great extent. Do you have any suggestions or feedback for iQuanta, so that they can improve further? I don’t really have any suggestions in particular. I think Indrajeet sir is doing a great job with the amazing tips and shortcuts. Any specific method you would like share that you used while preparing for VARC, DILR or Quant? So in my case VARC was looking like a major problem from the beginning, so I made it a point to start with taking mocks. So even before I started preparing I started taking mocks for VARC and then I sat and analyzed where I am going wrong. I made it a point to do atleast 4 RCs everyday from various sources. Also I suggest students to not read only one material, like finish one complete book at once and then move on to something else. I prefer reading a book for half an hour then moving on to a newspaper, then coming back to the same book after 2-3 days. This helps in comprehending different genres at once, which is how RCs come in the CAT exam. Quant is safe hands if you are a part of iQuanta. Ofcourse practice and concept building are the most important. That’s all that is needed for quant. DILR requires only PRACTICE and PRAYERS! Considering the DILR paper that came in 2016, it was something I had never seen before, in any of the mocks that I had given or any forum that I was a part of. So you have to pray for your luck to be good in DILR and PRACTICE PRACTICE PRACTICE! What about your strategy for the D day? So I am a strong believer of the concept of attempting questions in rounds. So be it RC, VA, QA or DI and LR, I first solved all the questions that I knew for sure I could do. Then moved on to the ones that I was familiar with, but would take some time, and finally if I had time left I would finish the ones which I would have to spend a lot of time in and I am not sure about. So what are your thoughts about online coaching? I believe that because of this age and era of digital media that we are in, iQuanta and other online coaching institutes are bringing in a major wave of change in the coaching scenario of our country. Sitting in a small town or in another part of the country he (Indrajeet sir) is able to help so many students and get them to a level of cracking one of the toughest competitive exams. So I think there is a huge scope of online coaching in our country. Yea definitely. I think from past experience I would like stress on the mock taking aspect and more so on analyzing the mocks. It’s very important to monitor your progress and keep a constant tab on the strategies you will be following in your preparation as well during the mocks.